Cut thin materials like decals, paper, and foils with an inexpensive vinyl cutter / drag knife on your CNC machine from CNC STEP USA. 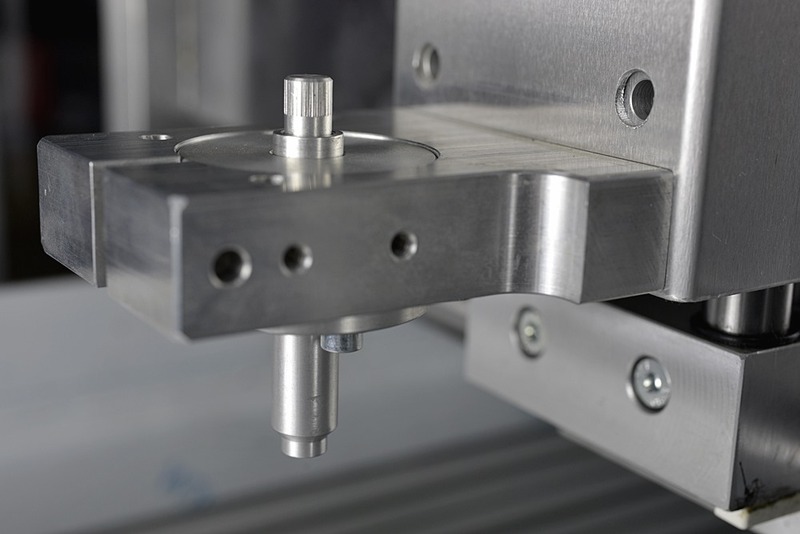 This small tool can be used on any CNC machine with a Ø 43 mm tool holder on the Z axis. It takes seconds to switch out your Kress or Suhner for this drag knife, so you can be up and running in no time. One knife is included in the box. The cutting depth is adjustable via a self-locking knurled screw at the top, and the pressure is determined by how much you lower the Z axis. Our replacement blades are always made of carbide (solid carbide) and have an extremely long durability. That said, replacement knives, such as the Roland 45°, are available all over. The vinyl cutter is used for film cutting up to a thickness of about 0.2 mm and it has a specially shaped head with an additional sealing lip at the tip. This prevents small slivers of material to get stuck and ensures continuous clean cuts. When setting up a new job run a test cut first. If the cut isn't deep enough, just turn the knurled screw at the top clockwise. Not had enough yet? No problem. Great, thanks for your interest in our machines. We will review your information and get back to you within a day. If you don't see a reply, please check your junk box just in case. wait - Don't miss out! Get our news, deals, and updates now! Five Star Quality based on over 4000 reviews.